July 23rd, 2007 @ 7:52 AM Photos! 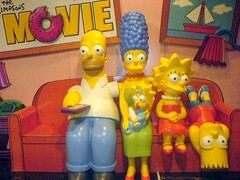 Join The Simpsons on their living room couch and pretend to watch the Itchy and Scratchy show with them! This couch comes in selected cinemas only, and not all of them allow photo ops. This picture was taken at the PowerPlant Mall in Rockwell. Nice shot. I have them on my blog too. 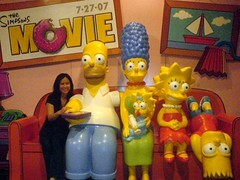 Too bad the guard couldn’t take a picture of me with the Simpsons without blurring the shot.